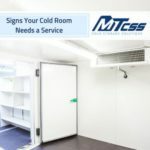 We at MTCSS take the sales and manufacturing of cold room equipment very seriously. It is important that you are entrusting your needs with the right company/people and that you know important information when seriously considering cold room appliances. The main thing you need to understand is cold room insulation: the component of cold rooms that makes it what it is. 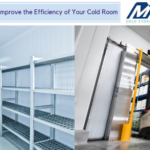 The use of cold rooms is common for companies that deal in perishable goods. Examples of this are in the catering industry, laboratories, hospitals and the food distribution industry. 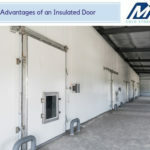 Cold room insulation assists these kinds of companies in keeping their goods fresh and cool for when ready to be used. Cold room panels, which contribute to insulation, are perfect for industries to safely carry out their work, in various different ways. For obvious reasons, cold room insulation can only be effective if used appropriately and properly. The benefit of having cold room panels can only be achieved if your cold room is kept in a state of closure for the majority of the time. If not, the decrease in heat that you are trying to achieve will fail. This can usually occur through something called ‘air leakage’. Air leakage occurs when the cold room doors open. What this causes is the cold or heavy air to escape whilst warmer air enters into the cold room above it. In short, keeping your cold doors open for long periods of time is a bad idea. 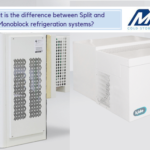 It will affect whatever stock you are containing and will also mean you are not getting the best use out of your cold room panels. No matter how effectively your cold room insulation has been fitted, air leakage will still greatly affect its limits of use. A common issue that is embedded in cold room structures is the growth of mould. The root cause of this is from cold room insulation not being covered completely and properly throughout. During Winter, your ceiling and walls of your cold room can become too cold. Every time your cold room doors open from this point, warmer and moist air can enter hit the cold surfaces of the cold room. This can cause water droplets to condense on surfaces. Also, if the outside becomes cold enough, frost can develop too, as well as ice. The moisture deposited by condensation on the inside of the cold room ceiling then forms mould. Thankfully, cold room insulation can be the easy solution. To help prevent this from happening, insulation can be fitted to your cold room’s ceiling and walls. The insulation, provided that it is impervious to the passage of moisture vapour, should prevent further exposure for mould to form. The best factor in cold room builds is the fitting requirements. The ability to fit walk-in cold room appliances, such as cold room doors, means they can be fitted to whatever space you require. Whether it be for a chiller, meat storage facilities, pharmaceuticals, data rooms or whatever form of storage facility you require, your cold room appliances can be fitted. The simple information of width, height, use of storage space and other small pieces of information will make it possible for your cold room to become a reality. 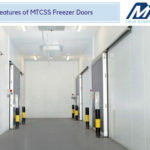 We at MTCSS are committed to ensuring your bespoke walk-in cold room is exactly what you want. We centre our attention on your requirements and our trained experts are always happy to take that one step further to ensure you get exactly what you paid for. Polyurethane is the most commonly used, efficient material in use for cold room panels, being used in over 90% of all panels. It is a rigid cellular foam composed of two liquids: polyol and isocyanate. Panels consisting of polyurethane can be used in a variety of different thicknesses, enabling them to fit a number of different requirements. This type of material has many advantages. It is low in weight, so easy for transferring and applying. Its thermal conductivity is among the lowest of materials, which of course helps in preserving the heat. It also has resistance to decomposition, also exposure to varieties of weather conditions/drastic changes in temperature. At MTCSS, we have the expertise to exceed our ever-growing popularity and help you in every way of your installation from the very beginning of initial planning. Our insulation appliances have never let our customers down and have always had the most positive of feedback since our inception. Feel that our cold room insulation fixtures would be the best choice for you? Please contact us to speak to one of our initial experts and begin the initial planning for your installation. Why Should I Choose Cold Stop Insulated Curtains?